boo-box Video, Banner advertising network details. Boo-Box is an advertising company that provides advertisers with relevant, creative and innovative solutions for their exposure. The advertising experience will become more engaging and efficient with Boo-Box and their most valued feature is the transparency. Boo-Box promotes the independent content, respects the diversity and constantly improves it by adding new products and solutions. With this platform, you get to create personalized campaigns, designed accordingly to your plan. 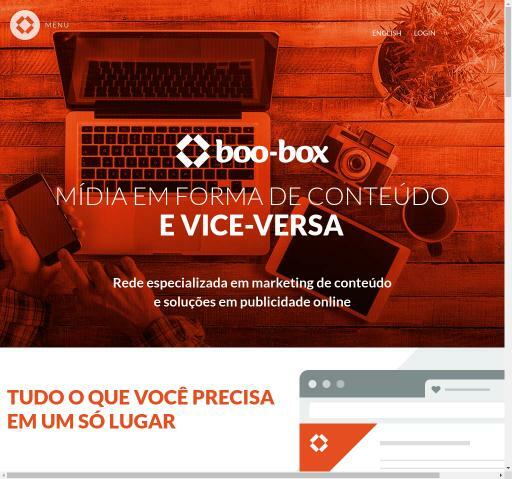 Once you create an account, you will get a dedicated Sales Executive to help you reach your desired revenues with Boo-Box and to create a campaign.